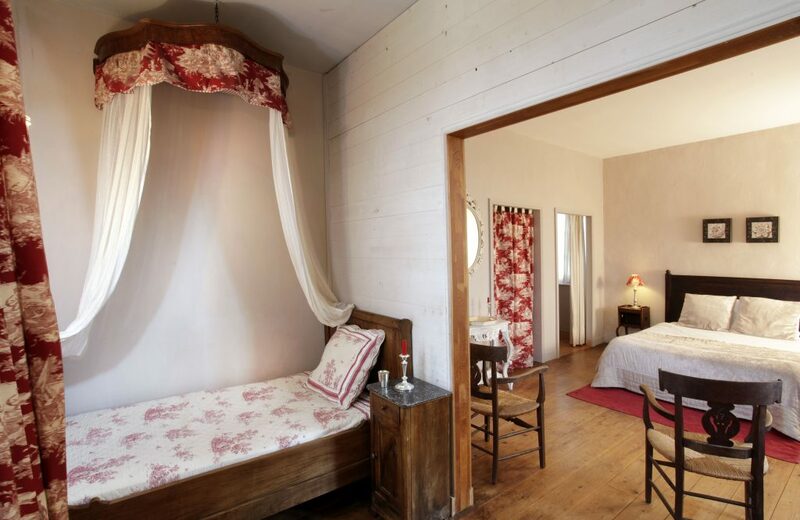 Guests room - "Suite Pavillon"
This Family Suite reserves the first floor of the East tower of the Logis de l’Astrée. With a surface area of ​​50 m², this Pavillon Suite is also particularly bright with its 3 windows opening onto the South, East and West. Both sober and elegant, this family suite will seduce you with its large volumes and warm colors. 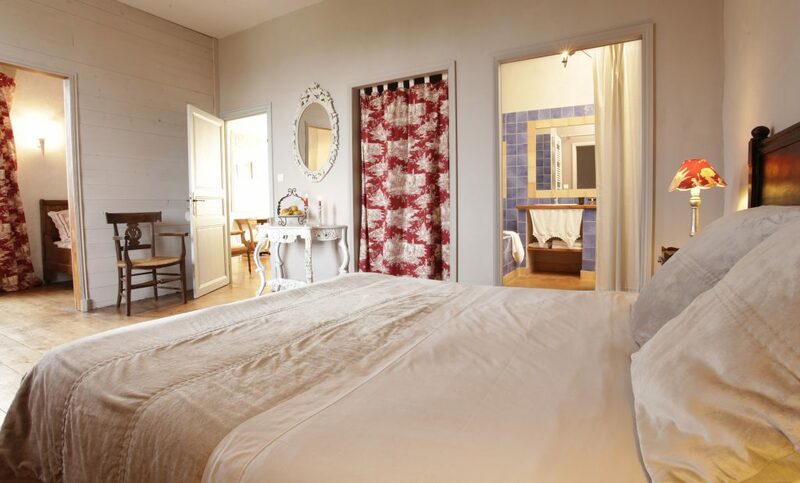 You will find in addition to a large double main bed, two beds for 1 person. In the alcove hides a large single bed under his headboard facing another single bed. Thus two children or two adults can occupy the alcove while preserving their privacy. 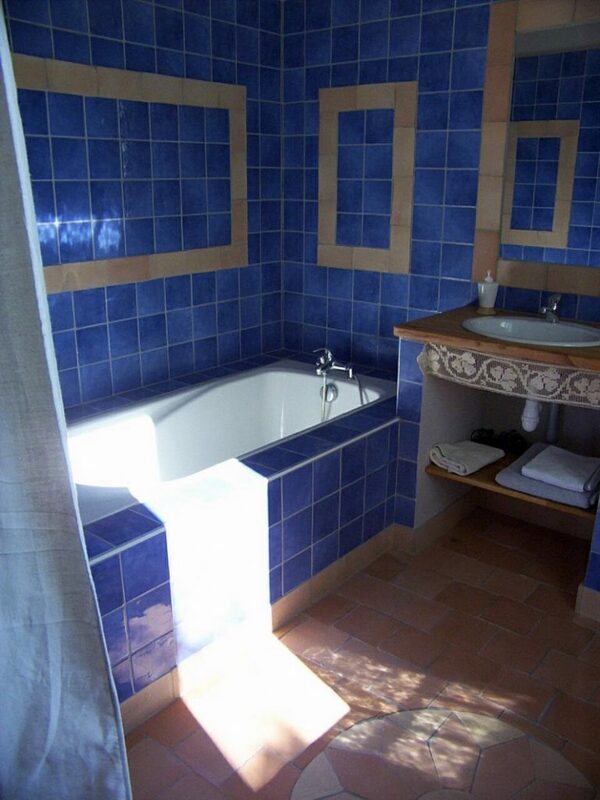 The large bathroom has two basins and a large bathtub with a shower bar. 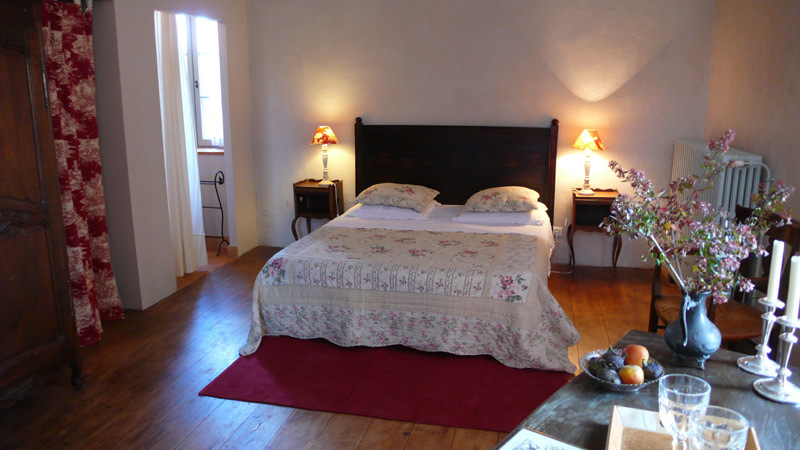 It should be noted that this room can also accommodate a third bed for a child up to 13 years old and / or a cot. 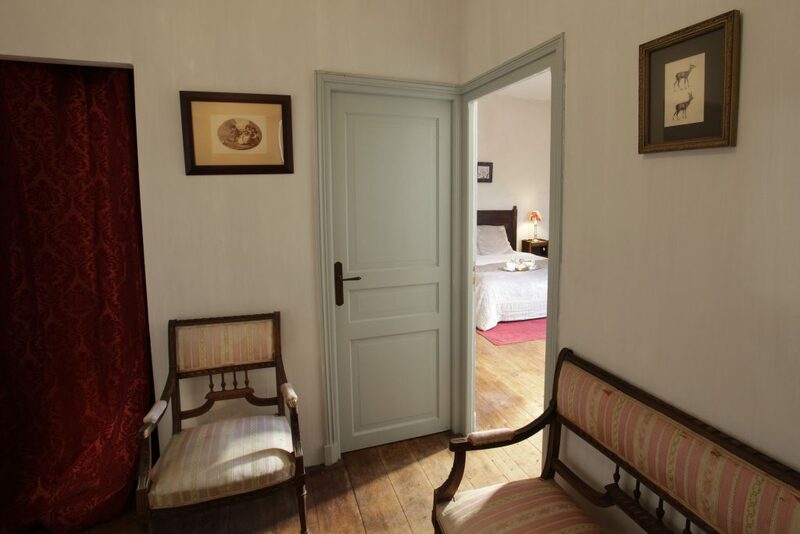 The anterchamber of our Pavillon family suite opens onto a majestic interior perspective at the Logis. There is also a tea room and extra space for storing your luggage. But also everything needed to take care of baby if necessary.